Retail store audits are considered a necessary evil for CPG companies. While they provide priceless information on product availability and presentation, the amount of data generated by many reps visiting several stores can be overwhelming when it comes to transcribing and analyzing. 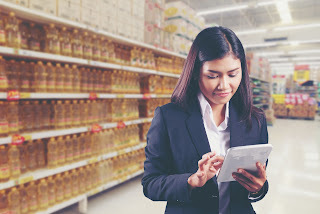 Mobile technology has brought relief to merchandising manager: With a retail store audit app, field reps and auditors can fill in forms and checklists on their mobile devices and the data is then, upon synchronizing, transferred to the Cloud, where it can then be accessed for monitoring and reporting purposes. As we can see, retail store audit app literally eliminates the tedious process of data transcription in merchandising. No time wasted on data transcription means management becomes aware of mission-critical issues – such as out-of-stocks – a lot faster. Most retail store audit app solutions not only offer data collection capabilities, but also data reporting and analysis, allowing management to produce reports as soon as audits are finished. One of the greatest advantages of retail store audit apps is that all activity is GPS verified and time-stamped. This means that managers can be sure that reps were where and when they were supposed to be, and even pictures will carry that information. VisitBasis retail store audit app provides all the tools necessary to setup and execute retail audits, from custom checklists and questionnaires to real-time access to audit data and GPS verification of visits. Try VisitBasis retail store audit app today! Sign up for a free trial or schedule an online demo.